Who doesn’t like a good serving of nachos!? 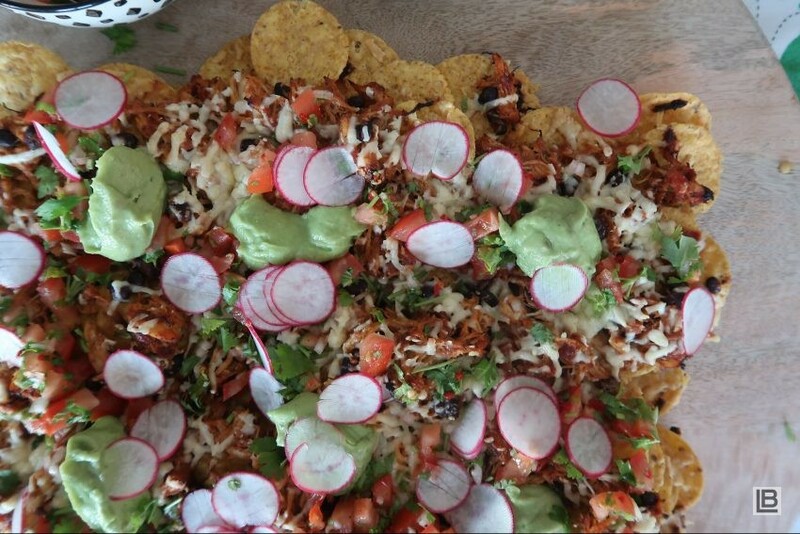 This is pulled chicken nachos is a huge serving that can easily be doubled for a crowd. Adjust the spiceness to you own liking but I personally like to have a bit of heat when something is meant to be spicy. For the chicken. Preheat oven to 160°C. Heat oil in a large casserole or saucepan over medium-high heat, add chicken and brown well all over (4-5 minutes), remove and set aside. Add onion and garlic to pan, sauté until tender and translucent (4-5 minutes), add spices and season to taste. Deglaze pan with Clausthaler Classic non-alcoholic beer. Add the vinegar, tomato, chicken stock, chipotle, oregano and chicken. Bring to a simmer. Put the lid on and then cook in oven, turning chicken occasionally, until tender (50 minutes to 1 hour). Immediately increase your oven to 180°C for the final part of the dish. Shred chicken, stir in beans and season to taste. For the salsa tomato salsa, combine ingredients in a bowl, season to taste and set aside for flavours to develop (10-15 minutes). For the avocado cream, process ingredients in a small food processor until smooth, season to taste, cover and refrigerate until required. To serve, scatter chips on a large baking tray, top with chicken and bean mixture, scatter with cheddar and then bake until golden and bubbling (about 10 minutes). Serve topped with sliced radish, salsa, avocado and fresh coriander.